At Labconco we are proud that our products are helping forensic scientists solve crimes and bring justice for victims. The Missouri State Highway Patrol Crime Lab opened December 2008, in Springfield, Missouri, and has allowed justice to be served faster than ever in southwest Missouri. Bill Marbaker, Director of the Highway Patrol's Crime Laboratory Division knew early in the planning phase that he wanted to outfit the new Crime Lab with equipment that was reliable. Having directed and worked in crime labs for years, Bill wanted to ensure the equipment for the lab would be in outstanding working order for many decades. 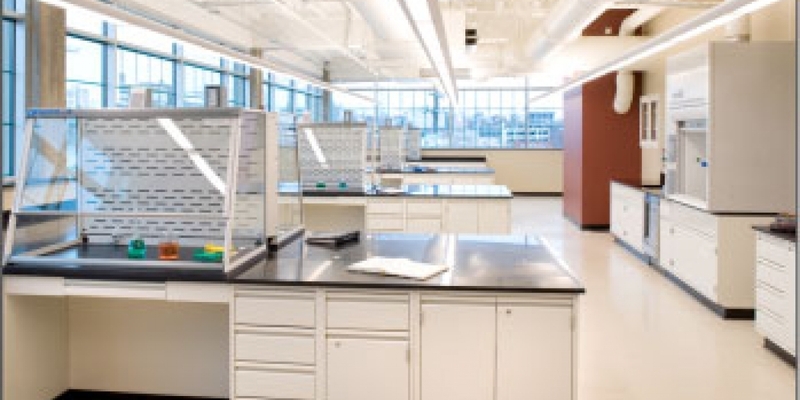 Labconco provided fume hoods, ventilation stations and biological safety cabinets to this new lab. Labconco products are used everyday in this lab keeping the scientists and technicians safe while they perform forensic testing. Bill is pleased with the look of the new lab particularly the open feel. Each Protector® XVS Ventilation Stations is paired with a FilterMate™ Portable Exhauster so that ductwork is not required. The technicians have their own ventilated enclosure to work within. They no longer have to wait to use a community fume hood. In 2010, Labconco expanded our product offering to forensic labs by adding forensic specific equipment such as Protector Evidence Drying Cabinets, Protector Downdraft Powder Stations and the CApture Portable Fuming Systems. Now new forensic labs can get all the ventilation products they need from one supplier. If your lab needs new ventilation products or you are planning a new lab please call us and learn about our products and experience Labconco’s customer service for yourself.